For LGBT kids and young people questioning their sexual or gender identity, the love and support they receive at home makes all the difference. Parents who embrace their child’s journey and help them access the tools they need can shape their future in profound and positive ways, experts say. Maurer is quick to note that parents of LGBT youth often go through a process of their own when their child initially comes out. And they may never truly understand their child’s lifestyle . That’s OK.
Irene Brank, the mother of a transgender daughter and director of business operations for MassMutual U.S., agrees. But love, as they say, conquers all. As your LGBT or questioning child moves from adolescence to adulthood, experts and insiders below weigh in on what it means to be their champion and love without limit. Coming to terms with one’s gender or sexual identity can be a difficult and confusing time, especially for school-age kids. 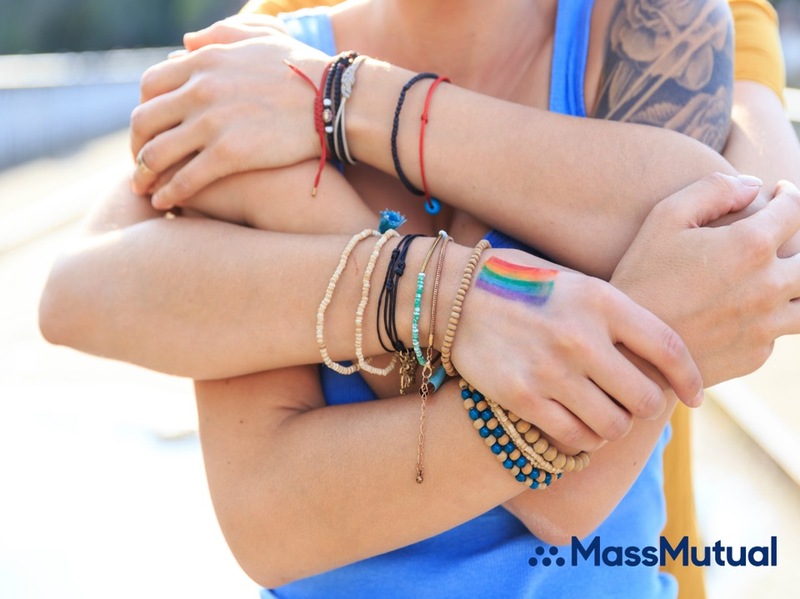 Beyond support from their family, LGBT youth need trained counselors, therapists, or other healthcare professionals in their corner who can help them process their feelings in a healthy way and develop a positive self-image, said Brank. Once they determined that their daughter was not gay, but transgender, Brank said her pediatrician put them in touch with a gender therapist who was instrumental in helping her daughter through the transition. “That was so important for us early on,” she said. Maurer said parents and siblings (on an age-appropriate basis) should also get the facts about what it means to be gay, bisexual or transgender. Learn the correct terminology to communicate effectively, push yourself to look beyond the stereotypes of LGBT individuals and educate yourself about your child’s journey of self-discovery. Talk to other parents with an LGBT child and generally make an effort to be informed. Three websites Maurer recommends are: Youth Resource, Parents, Families & Friends of Lesbians and Gays, and Gay Lesbian and Straight Education Network. 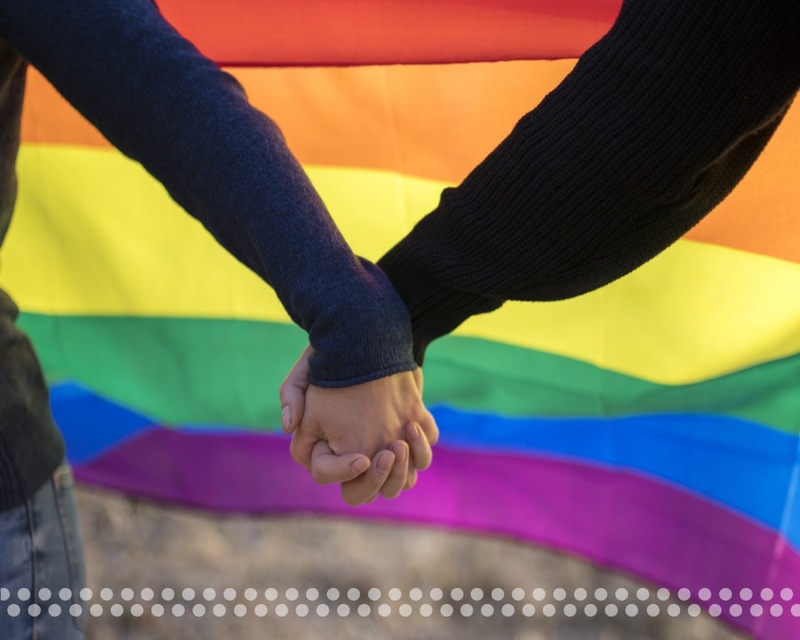 The Center for LGBT Education, Outreach & Services also offers a list of additional resources and services on its website as well. Your job as a parent, of course, is also to keep your children safe online and offline, a potentially bigger challenge for LGBT youth. In an article entitled “Tips for Parents of LGBTQ Youth,” Johns Hopkins pediatricians and adolescent medicine specialists Renata Arrington Sanders and Errol Fields suggest parents stay alert for signs their child is being bullied, which may appear as behavioral problems, declining grades or unexplained absences in school. If you have any concerns, contact a teacher, guidance counselor or school administrator immediately, they suggest. The Trevor Project also offers a 24/7 crisis hotline and suicide prevention lifeline for LGBT and questioning young people ages 13 to 24: 866-488-7386. The article suggests that parents get involved in their child’s life, meet their friends, ask questions, and show an interest in how they spend their days. They can also point their child to safe spaces online for LGBT youth to learn, grow and connect with each other, like It Gets Better and the Gay, Lesbian & Straight Education Network for students. Parents should also find out what resources exist locally and within their school that may enable their child to form healthy friendships with others in their community. A community center with LGBT groups or local bookstore that carry LGBTQ books may be a good start, said Maurer. At school, where adolescents spend nearly as much time as they do at home, the specialists at Johns Hopkins also suggest parents advocate for a gay-straight alliance (GSA), which has been shown to make schools safer and improve performance among LGBT students. The experts at Johns Hopkins acknowledge that providing support can be challenging at times. It’s a lot for parents to process. Feelings of stress, confusion, or concern are natural, but don’t pull back when you’re needed most, they say. If you’re struggling, they suggest, reach out for help. Like Brank, team up with a pediatrician, a counselor at school, close family members, or even community organizations that can help you process your own feelings in a healthy way, so you can be more emotionally available for your child. Supporting your child is one thing, but Maurer cautions parents not to make it “all about” their sexuality or gender identity. Parents should encourage their LGBT child to develop socially, play sports, engage in hobbies, hold part-time jobs and generally just be a kid. Don’t let their sexual or gender identity be the thing that defines them, said Maurer. Another way you can help, said Maurer, is to learn the local, state and national laws and policies that pertain to LGBT people so you understand your child’s rights. If you travel with your child internationally, you also have a responsibility to find out what rights and risks exist in the destination country as well. If you are ready to join the fight, Maurer said consider teaming up with a nonprofit group to help extend equal rights to the LGBT community and act as a champion for your child, noting the National Gay and Lesbian Task Force is a good first step. Finally, parents should always ask their child before they “out them” to others, said Maurer. Don’t betray their trust by telling friends and family members about their lifestyle before your child is ready. Let your child call the shots. That’s good advice, says Brank. Parents should support their child’s journey, but they should not try to impose their own will. * Family Acceptance Project, “Family Rejection as a Predictor of Negative Health Outcomes in White and Latino Lesbian, Gay and Bisexual Young Adults,” 2009.